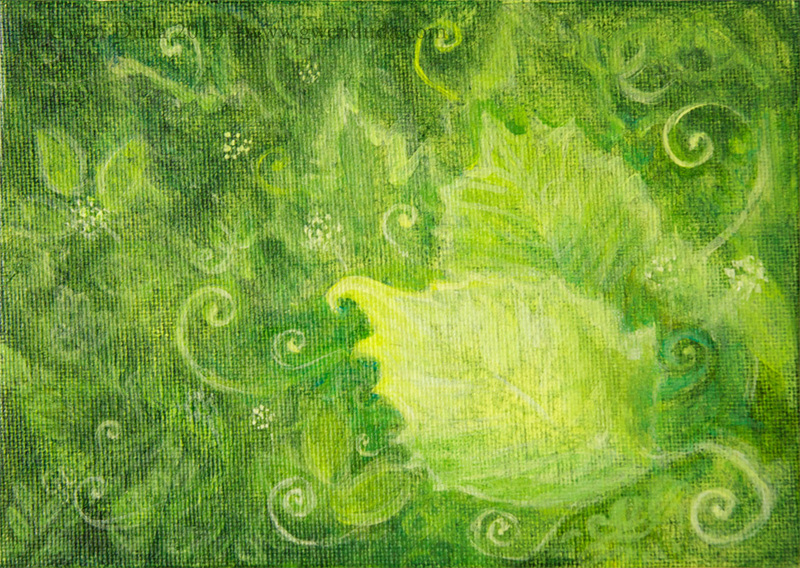 Merging the beauty and amazement that nature holds for us every spring this painting highlights what we take for granted - that each year leaves will unfurl, grass will grow and blossoms will fill the air. It's a very welcome time when winter finally relinquishes it's grasp and the sun once again beckons the green of life to burst forth and return. This painting illustrates and celebrates this wonderful time.